We Live In A Political World: #94 / Regulatory Fascism? No, that's not a "real" sign. The "real" sign (from back in 2012) is shown below. 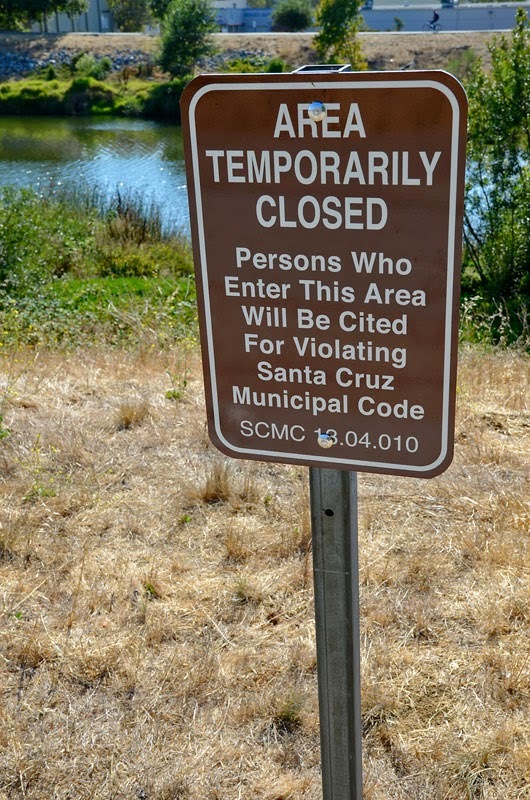 You can get a very good idea about the extent of that signage posted along the San Lorenzo River in the City of Santa Cruz (again back in 2012), by taking a look at this Indybay posting. As documented by Indybay, it seems that the message might read as follows: "Welcome to Santa Cruz. Please visit recreational areas and locations that charge you for admission. (We hope you're rich)!" 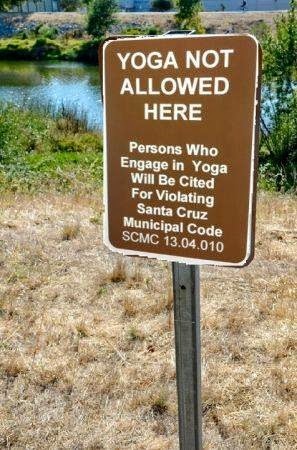 I saw the "Yoga Not Allowed Here" version of the sign on Facebook, where one of the comments called it "Regulatory Fascism." 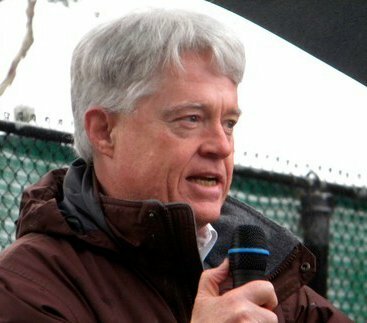 Whenever this code or any ordinance or resolution of this city designates and describes any public property as having been withdrawn from personal access and use by members of the public, or as having been limited as to access and use by members of the public and notice thereof has been posted conspicuously on or adjacent to the property so designated, it is unlawful for any person to thereafter enter upon or use such property without permission or in a manner other than that prescribed. In certain circumstances, it does seem appropriate (at least to me) for a city to keep the public off of certain public properties, at least during certain times. For instance, if plants are being propagated, or if endangered species' nesting sites are protected, such rules (and signs) make sense. But if an entire river levy is put off limits (see that Indybay posting), it's no wonder that charges of "regulatory fascism" are voiced. As far as I can tell from a recent visit, the signs documented by Indybay are no longer there. It also says "temporarily closed." That means it will be reopened at some point. What's the point of bringing up this restoration effort from 2 years ago? The Alex Darocy post on Indybay mistakenly links this to raids on the homeless, which is paranoid and false. Fascism refers to right-wing authoritarianism. This environmental restoration effort is decidedly left-wing. So the answer to the question that is the title of this blog post is a resounding "NO!". You're supposed to be an environmental attorney, right? I find it highly deceptive that you bring up the issue of these signs and not once mention the fact that they were erected as part of an environmental restoration effort! This makes it appear as if you're merely trying to score political points against a perceived authoritarian city government.